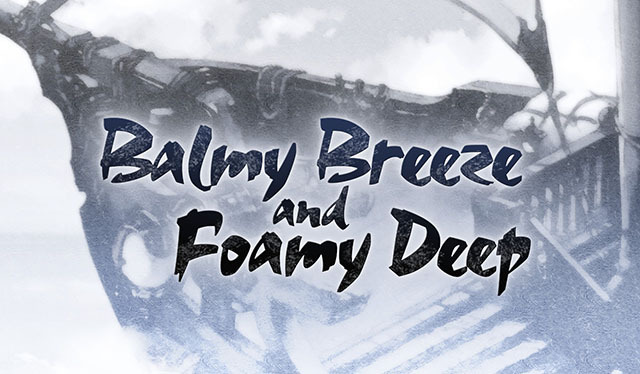 Balmy Breeze and Foamy Deep is a side story became available on July 18, 2017. It is unlocked after after completing Chapter 12 Story - Battle at the Falls . 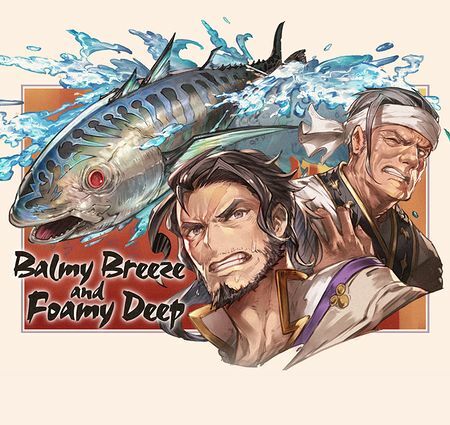 4 Challenge Battle: "Revenge of Bonito: Freshly Caught!" Water damage to all allies and removes one buff. Casts Lightning Blitz next turn. 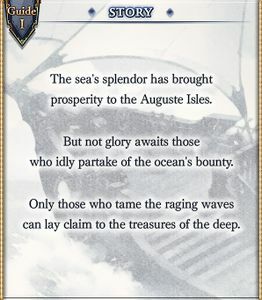 Challenge Battle: "Revenge of Bonito: Freshly Caught!" 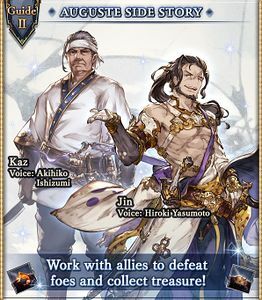 This is a fairly easy Challenge Battle if you choose Grand Order as your Friend Summon. 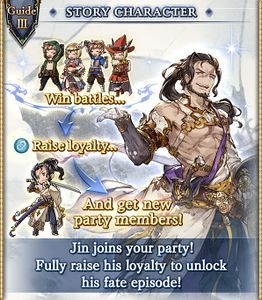 Elmott is likely to get knocked out, but it allows Vira to step in who is much stronger. If using Grand Order, keep in mind that you still need 3 different elements in the main party for Aura to take effect. 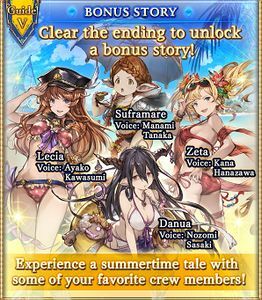 Choose your main character's element wisely. Take advantage of any potions you receive from the trash mobs. 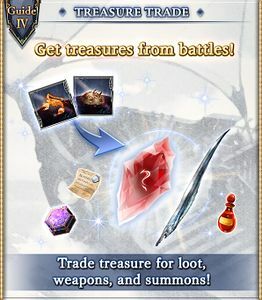 The event shop sells the Ebisu summon and Water weapons. Items restock with higher costs when sold out. This page was last modified on 10 December 2018, at 13:08.